Are you thinking about a first trip to China? This article will help you clarify what your options are and what is generally considered best to do. 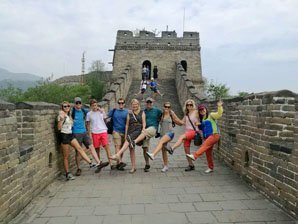 All these tips are from a company who have planned, carried out, and evaluated thousands of individualized first-time China tours. 1. Don&apos;t go to too many places. 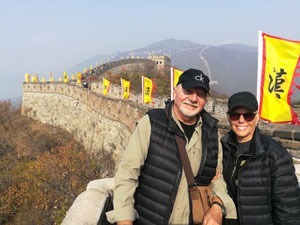 The Great Wall and nearby Beijing are musts for most first time China travelers. If you have the time, there is nothing to stop you visiting 10 or more cities, and if you are adventurous you could go straight to China’s remotest regions on a first trip. But for most, as there is a lot to take in on a first visit to China, a good introduction to China’s easily-accessible and most-popular places at a relaxing pace is most conducive to enjoyable and fulfilling travel. Besides, when you return home, you could be forgiven for having not seen Inner Mongolia, but who could say they’ve traveled China and not stood on Tian’anmen Square? For a first trip to China, the most recommended tourist destinations are Beijing, Shanghai, Xi’an, and Guilin. China’s capital Beijing has numerous world-class sites, and is really a must to discover China. It’s huge airport makes getting there very easy. 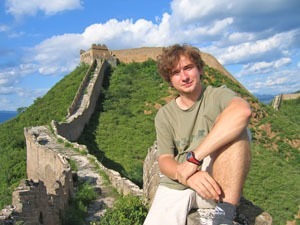 Climb an “eighth wonder of the ancient world” — the Great Wall. Visit the world’s largest imperial palace — the Forbidden City. See how the emperors worshipped at the Temple of Heaven. Relax as royalty did at the Summer Palace. And stand where the modern China era began — Tian’anmen ‘the Gate of Heavenly Peace’. Yu Garden is popular with first-time-to-Shanghai travelers. China’s largest city Shanghai has China’s most spectacular skyline. Many first-time visitors only spend a day there to sample its sights. It’s international airport is a popular way in/out of China. Shanghai is famed for its towering modern architecture along the Bund, most notably Shanghai Tower, world’s second tallest building, and the Oriental Pearl TV Tower. Most first-timers also appreciate Shanghai’s historical sights — the classical beauty of Yu Yuan ‘Happy Garden’, and the colonial architecture of the Bund. 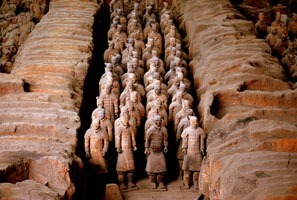 The Terracotta Army is a highlight of Xi&apos;an and absolutely a "must see" for anyone visiting China. China was first united as a nation in Xi’an, which was China’s capital ten times from the Qin Dynasty (221 BC) to the Tang Dynasty (904 AD). Therefore Xi’an is a must for Chinese history fans. See how the First Emperor’s army looked at the Terracotta Warriors display. Appreciate ancient architecture from pagodas to the Ancient City Wall. See ancient artifacts that chart China’s distant past at Xi’an’s museums. Enjoy a Tang Dynasty banquet and entertainment. The Li River is the best place to enjoy the scenery of Guilin. China’s nobles and poets have been visiting Guilin for centuries, extravagantly acclaiming its beauty. First-timers love Guilin for its beautiful landscapes and as a relaxing escape from the cities. 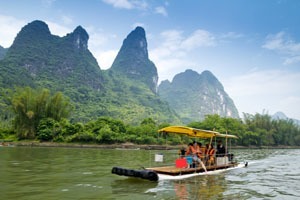 Cruise through the Li River Scenic Area, which combines verdant waters with pointy karst hills most wonderfully. Yangshuo is China’s small-town travelers paradise, where cafes, bars, restaurants, and hotels crowd between steep hills, all surrounded by paddy fields and villages easily accessible by bike. At the Longji Rice Terraces, enjoy the magnificent tiered fields and experience the world of the Zhuang and Yao minorities. Besides expertly combining the above four destinations, there are several reasons why “Classic Wonders” is our most popular itinerary. Classic Wonders is our customizable 11-day Beijing–Xi’an–Guilin–Shanghai tour plan. For some more ideas see The Top 10 Tourist Destinations in China. 2. Come at a good time for you. whether you want to see a particular festival or seasonal attraction. summer can also be a very good time to come, though hot and most crowded with Chinese vacationers. 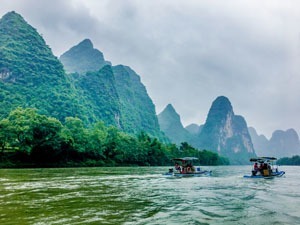 The Li River, Guilin, is lush and particularly verdant in spring. Spring (April–May) and autumn (September–October) are generally the most comfortable and recommended times for a China tour. They are neither too hot nor too cold, and fall is generally drier and warmer than spring. Flowers and fresh foliage in spring, or fall hues and clear skies in autumn, will brighten your trip. As a bonus, the middle seasons are shoulder tourism seasons, with middling prices and levels of crowding. The exceptions are Labor Day holiday (May 1–3) and National Day holiday (October 1–7), when costs and tourist traffic are high. Mid-Autumn Festival (Sep. 13, 2019) is a wonderful cultural celebration to enjoy. 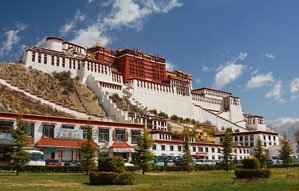 The Potala Palace. Remote areas like Tibet are best visited in summer. Summer is the hot, wet monsoon season in China, but rain is less the further north or west you go. If you don’t mind (or like) the heat, then there’s nothing like the full power of the oriental sun to bring out the wonders of China. Hear the deafening pitch of cicadas on the Ming Tombs’ sun-drenched spirit roads, or feel the shaking of Mount Emei as peals of thunder tremble the temples amid the lightning-lit clouds. Prices and crowding are highest in China’s school holiday season (July–August); June is not so bad. If you come as a family, there’s something joyous and genial about sharing the holiday season with Chinese families and kids from different countries coming face to face. It is the optimum time to go to some of China’s remotest areas (Tibet, the Silk Road region, Inner Mongolia, Guizhou…) — and good to avoid the crowds by going there, where minority festivals and the summer sun yield a vibrant and amiable atmosphere. Winter in China can be very pleasant. 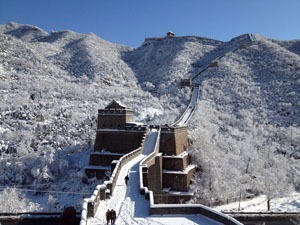 Beijing is very dry with an annual dusting of snow… more falls on the nearby Great Wall. If you want to experience peace and quiet as well as brumal beauty at China’s attractions, then winter (November–March) is the time to come. The downside is that it’s very cold everywhere except in China’s tropical south, and pollution is most likely to be an issue in the cities. Mountain areas may be inaccessible. Winter is also the low season for travel with low prices for transport, hotels, entry tickets, everything. As a lot of Chinese go traveling for the Chinese New Year public holiday (Feb. 4–10 in 2019), this is the one time when prices are high in winter. The exception to the general lack of crowding and peacefulness in winter is the January/February Chinese New Year Travel Rush, when trains particularly can be fully booked a month in advance. You might like to experience the noisy and colorful Spring Festival festivities too. Best Cities for Spring Festival 2019 (Feb. 5): Experience China’s biggest festival in context. 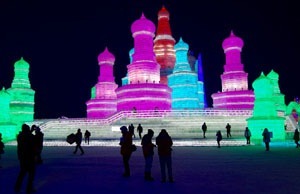 Harbin International Ice and Snow Festival (Jan. 5 – Feb. 5): See the hugest ice sculptures in the world. Also read The Best Times to Go to China. 3. Plan in some quality interaction with local culture. 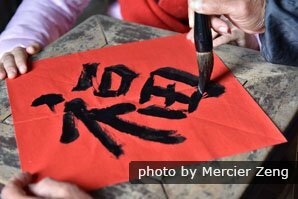 Trying some calligraphy with expert tuition is a great way to immerse yourself in Chinese culture. There are countless ways to have a rich Chinese cultural experience that can only be done in China. The key is to think what you’re interested in and go deeper than the average tourist. Whether it’s kung fu, Chinese food, terrace farming, ancient history, or family life, meet the locals and find out what it’s all about first hand. A good guide is recommended to help you get in touch with the local culture and interact with it. You’ll need someone who can answer your “why is that” questions, take you to authentic local restaurants and help you order, and introduce you to folklore that you never would have known otherwise. See How to Make the Most of Your China Tour Guide. Our 10 essential Chinese phrases for tourists will help you interact more. 4. 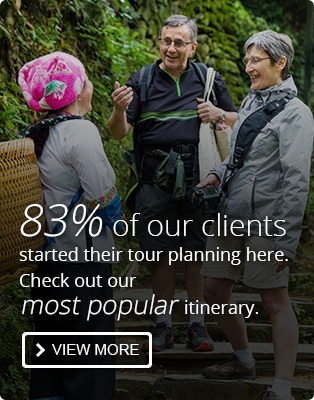 Get some tour company help. Have fun rather than hassles on your first China trip — get some expert help. 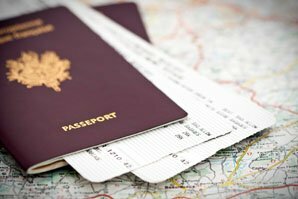 Some of the biggest problems with arranging a China trip are the language barrier, China&apos;s general complexity, and the difficulty of booking everything efficiently, before you even consider getting off the beaten path. Why struggle when there are companies who can do the work for you? To make your first trip to China a great one, contact us. We’re here to help you tour China your way. See 11 Reasons Your China Tour Should Be Private… Not a Group Tour. 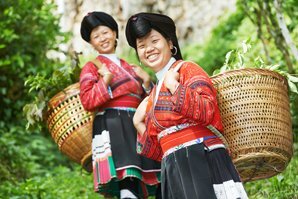 10,000+ people a year use our tailor-made China tour service. Whatever your interests, we can arrange experiences that will bring your China curiosity to life — that’s Discovery Your Way. THE GOLDEN TRIANGLE — an 8-Day Beijing, Xi&apos;an, and Shanghai Tour — the three major tourist cities of China. Check out more of our Top 10 China Tour Itineraries based on bookings and feedback. Or contact us and we’ll design a custom tour for you. 5. Go with an open mind, but not an empty mind. Discover China with us and get your questions answered... like "What&apos;s the character on those flags?" Don’t be too surprised/shocked/intimidated if things are quite different in China. An open mind is essential to discovering and appreciating new things, and to avoiding too much culture shock. China is a very different country, so the more you can learn about it before you go the better. 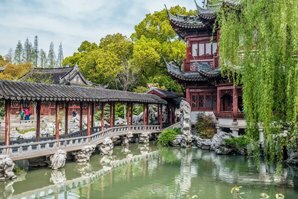 You may want to start with 10 Facts to Help You Understand Chinese Culture and our information and advice about the places you plan to visit. Think about how you&apos;re going to keep in touch in China and use your devices. You may want to get a VPN that works in China. 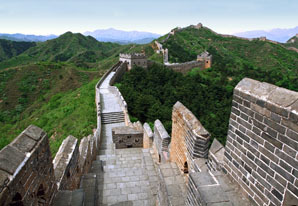 We have plenty more on China trip planning and preparation on our China Travel Guide.